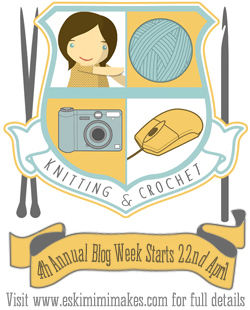 This post officially marks the launch of Knitting And Crochet Blog Week 2013. 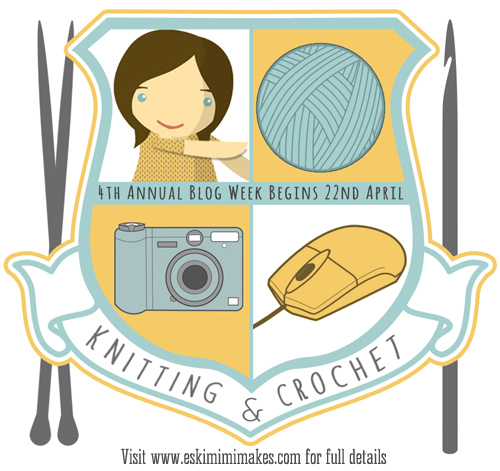 Today is a brief but (hopefully) comprehensive overview of what Knitting And Crochet Blog Week is all about, and Monday will see the exciting day that the blogging topics are announced. Is There A Twitter/Instagram/Social Media Hashtag I Can Use? Why not? #KCBW4 is available for all your hashtagging needs. Absolutely. They will be summarised (and explained in full to those who haven’t used them before) when this year’s topics are announced. You may have noticed at the very start of this post the official banner for this year’s Blog Week. There are a few other graphics to choose from, in large and small formats, so hopefully you will find one to fit your post header, blog post or sidebar. All of these images can be used freely, and re-sized as needed. If you live locally, yeah, why not. Otherwise, you know what costs about the same as a cheap coffee? 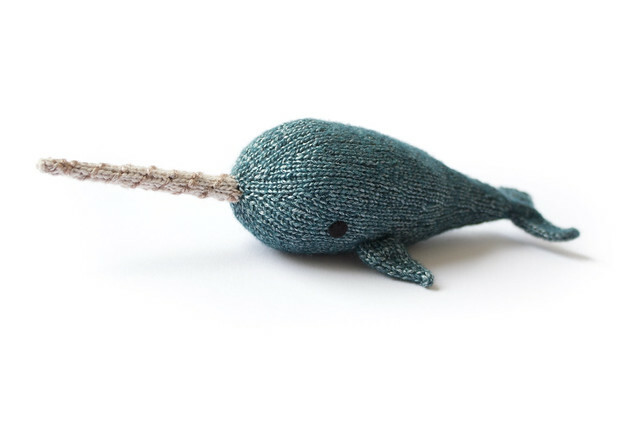 A wonderful knitting or crochet pattern. Who wouldn’t want a knitted trilobite? And if my patterns don’t particularly appeal to you, why not treat someone else and gift one via Ravelry, or buy from another independent designer and support the wonderful talent in the knitting and crochet communities for less than a single drink at Starbucks. It is indeed likely that I have forgotten something or not foreseen a query/area of confusion. If it is something relating to the topics or post tags, those will both be explained in the next post, but if it is something else please leave a comment below as well as a way of contacting you (a link to your Ravelry profile if you have one is a very handy way to get in touch, but otherwise a blog link or some other way of getting a reply to you…) Or keep checking back! I can’t wait until this starts. I have missed it every year but I saw a post you made on ravelry and made sure to follow your blog so I could participate this time. I’m AmandaJoi21 on rav. Might have to give it a try too! This sounds like fun, looking forward to finding out more! Roll on topics! This’ll be fun as heck! So much fun last year, cannot wait to do it again this year! Oooh can’t wait. It was because of Knitting and Crochet Blog Week last year that I ended up starting a podcast! I’ll be mentioning it in the next episode. Can’t wait for the titles. I’ll be joining in this year;I’m really looking forward to the challenge. Roll on the topics. Can’t wait to red these topics ! last year was so much fun ! It sounds like fun, I’ll think about it! Oh I’d love to join in. http://Www.meandmy2guys.blogspot.com or meandmy2guys on ravelry and Facebook and instagram. How do one find all the bloggers that post about this – will there be somewhere where you submit links to your blogs? I’ll love to participate! I´m from Argentina and my blog is in spanish… Is it Ok? I think I will give it a go. I have just started blogging this year and it will be a challenge…what better way to learn than to get out of a comfort zone. Just spotted this – fairly new to blogging but going to attempt to do it. Brilliant idea! I’m looking forward to reading the blogs and contributing one or two of my own. Thank you for starting this tradition. I have only just started a blog – but think this a brilliant idea to get me going! Okay, well, since other non-English blogs are joining… I’m in, too! http://www.onebadassmother.com and OneBadassMother on Ravelry. My blog has been silent for a month or so…this seems like a good way to get back to it! This sounds like fun and will try to figure it all out!! I’m starting a blog just to take part! As a newbie blogger, this is ideal for me! Thanks so much for organising. I’m in 😉 one day late ! I don’t blog yet but I just happened to be looking at another blog and saw this little picture so here I am. This sounds wonderful. I’ll keep looking this week to see all the wonderful ideas and posts. Thanks. http://www.oneyarnafteranother.com. I finished my Peacock hat. This was a lot of fun. I guess I’ve substantially missed it, but it would have been good timing as I’ve finally renovated my blog. Next year for sure.